Providing you the best range of General Industry Lube such as CVC Aquakleen, CVC Battery Coat, Synol CompLube-280, CVC Crack Detector kit, Synol XA-100 Multi Purpose Moly Grease, CVC Superstrip-200 and many more items with effective & timely delivery. 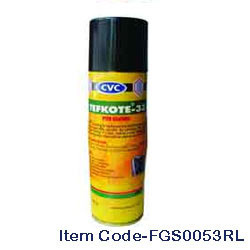 CVC Rat Repellent Spray is an easy to use repellent. When sprayed properly it prevents rodents from nesting, traveling and congregating in unwanted areas. Ideal for schools, homes, offices, warehouses, automobiles, garages, etc. It is ideal for protecting large & small vehicles from the threats of rodents damaging wiring, cables etc.This product can also be used for other applications where plastic pipes for gas, water and other liquids are used for general utilities underground. It will also prevent rodent colonies underground in certain areas. This product also prevents rodents from biting wires, cables, and conduit. • Easy to apply.• Protects car from rats & rodents.• Prevents cable damage & replacement.• Prevents rat colonies / menace. Open the bonnet of the four wheeler and spray entire area of cables & other parts where rodent menace is experienced. Spray 15-20 cm. away from the surface. The surface coated should be free from oil, grease, dirt, dust & moisture. No sealing, pretreatment or taping is required. Caution: Always use safety mask during spray to avoid bitter smell. 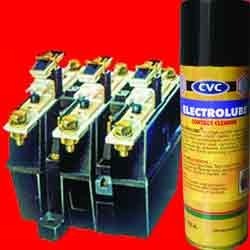 It is a high quality CVC Electrolube Lubricant which cleans carbon deposits, grease and other contaminants and protects electrical conductivity, prevents electrolytic action and eliminates contact burns providing a non-drying water repellent film. Synol XA-100 Multi Purpose Moly Grease is a grease blended with molybdenum disulphide which develops a tenacious, low friction film with an excellent load carrying capacity. It is also fortified with additives such as E.P and Rust & Corrosion inhibitor and Antioxidant to reduce wear, provide good water repellency and oxidation stability. We are engaged in offering a wide gamut of CVC Multilube. 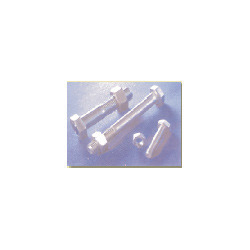 These are used as penetrator, cleaner, lubricant, water displacing agent and rust preventive. 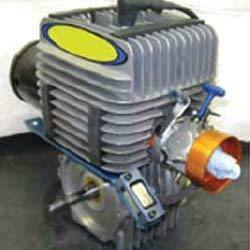 All the products offered by us are widely used in automotive, engineering, domestic & agricultural industries. Further, our entire range is thoroughly tested under the supervision of quality examiners so that only high quality removers are delivered at clients' location. It is a highly effective cold galvanizing spray to protect all structures, nuts & bolts, joints from rust & corrosion,Touch-up zinc coating for hot dip galvanized surfaces after welding. Anti Corrosive Zinc Coating Spray is a highly effective cold galvanizing spray. It provides protection for all polished metal surfaces, and on the other hand, forms a highly adhesive, fast drying permanent primer for all types of paints. It is also suited as a primer for bonded lubricants. The outstanding corrosion protection characteristics show up especially in Electro-chemical (cathodic) corrosion protection, which prevents damages, e.g., scratched surfaces, from rusting after treatment. In the open air weather test CVC GALVANIZING SPRAY shows no signs of rust even after several months. 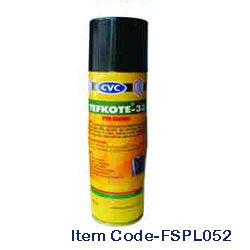 CVC PCB 500 Protective Coating specially formulated to provide an instantaneous clear, dry, protective coating for PCB from moisture, corrosion, tracking, dirt & dust, fungus & pollution. It is a solder-through type of coating based on modified acrylate, for easy repairs. It assures long life to components & PCB against adverse conditions. 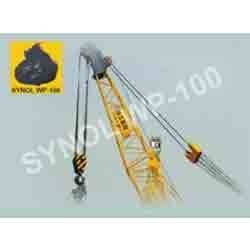 It conforms to MIL-I-46058C specification and RoHS compliant and environment friendly. Approved by C-DOT & CACT (Department of Telematics).An excellent protective coating for all chrome and metallic parts fitted on vehicles such as Cars, Motorcycles, Scooters, etc. against rain, dust, corrosion etc. It prevents tarnishing (dulling effect) of shiny chrome parts due to weathering effect. It protects also brass, copper and alloy metallic surfaces. For TV and Video cabinets, Computer controls, car upholstery & domestic appliances. It cleans away dirt, stains, greasy deposits, etc. from the surface & protects them from moisture & corrosion. CVC Viscolube (T) is also knwon as Sprayable Tacky Grease is a non-dripping, non-staining lubricant which sprays like oil but sticks like grease. It is particularly useful for textile industry where it prevents spotting of fabric by clinging to high speed rubbing surfaces. 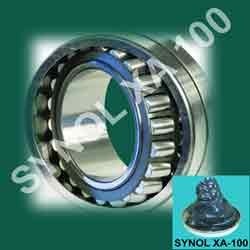 Because of its easy washability, it is also useful lubricating open gears, vertical guides etc. in food pharmaceutical, cosmetic and paint industry where cleanliness is of extreme importance. Synol WP-100 is a heavy duty Adhesive Grease with high quality lubricating graphite flake used for heavily loaded bearing surfaces exposed to humid & hostile environment.It can be used for all slow moving heavily loaded bearing surface including plain bearings and some anti friction bearings. Non-Destructive Dye Penetrate Kit is also known as CVC Crack Detector Kit. This versatile dye penetrate system is a simple non-destructive method of testing for defects open to the surface but not visible. Practically any non-porous surface can be inspected for defects with this system. It is a 3-component system viz. 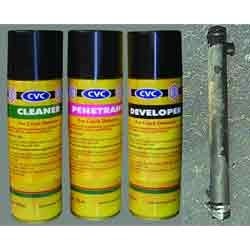 Penetrate/Developer/Cleaner, conveniently packed in handy aerosol spray cans. Synol Anti-Seize Compound is a multipurpose anti-seize compound based on the modified acrylic technology to provide instant insulation to electrical & electronic systems. When sprayed brushed or dipped it leaves a thin, hard, transparent dielectric, water repellent, protective film on any surface. It is designed to meet the class “F” insulation requirements. CVC Red Insulating Varnish is based on the modified acrylic technology to provide instant insulation to electrical & electronic systems. When sprayed brushed or dipped it leaves a thin, hard, transparent dielectric, water repellent, protective film on any surface. It is designed to meet the class “F” insulation requirements. 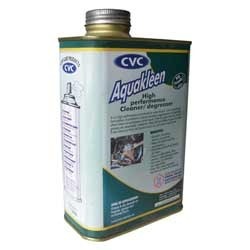 CVC Aquakleen General Purpose Cleaner is a high performance concentrate for water dilution. It is a revolutionary formulation of surfactants, detergents & additives uniquely blended to aggressively and specifically attack heavy oily and greasy contaminants. With its unique formula it penetrates, wets & lifts off oily & greasy deposits from any surfaces. The surface can be wiped clean or rinsed with water after allowing it for a few minutes to work. Synol Rustkote- 300Protective Coating is a new generation protective coating, which converts existing rust on metallic surfaces into a chemically inert coating, which prevents further rust and provides a suitable base for painting immediately. 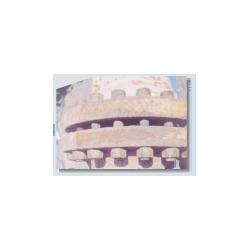 Rustkote- 300 can be used on rusted as well as clean metal surfaces. Due to the formation of inert coating, further rusting is totally stopped. CVC Superstrip-200 Rust Remover is the latest formula 3-in-1 rust removing solution for fast and economic removal of rust and scale from iron & steel surfaces. Moreover, CVC Superstrip-200 is safer to handle than similar conventional acidic products and it leaves a phosphate coating which protects from immediate rusting. It is used in concentration of 10 to 50% with water at temperatures ranging from room temperature to 80°C. Higher the temperature and concentration, faster is the results. Normally 10-20 minutes are allowed after application for the CVC Superstrip-200 to act before scrubbing with wire brush for removing rust and final rinsing with water. Looking for General Industry Lube ?